Drizzle our healthy Organic Flax Seed Oil over your salads, vegetables or pastas. This delicious oil has a delicate nutty flavour which can be used in dips, dressings and deserts. 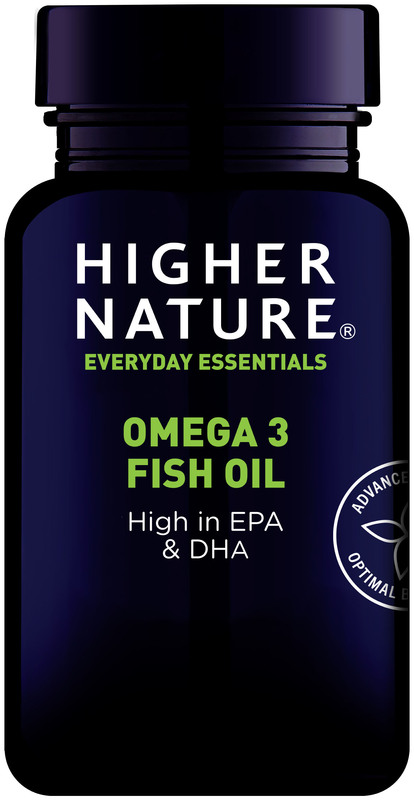 It’s packed full of omega 3, 6 and 9 fatty acids and is cholesterol-free, making it a great alternative to olive oil. 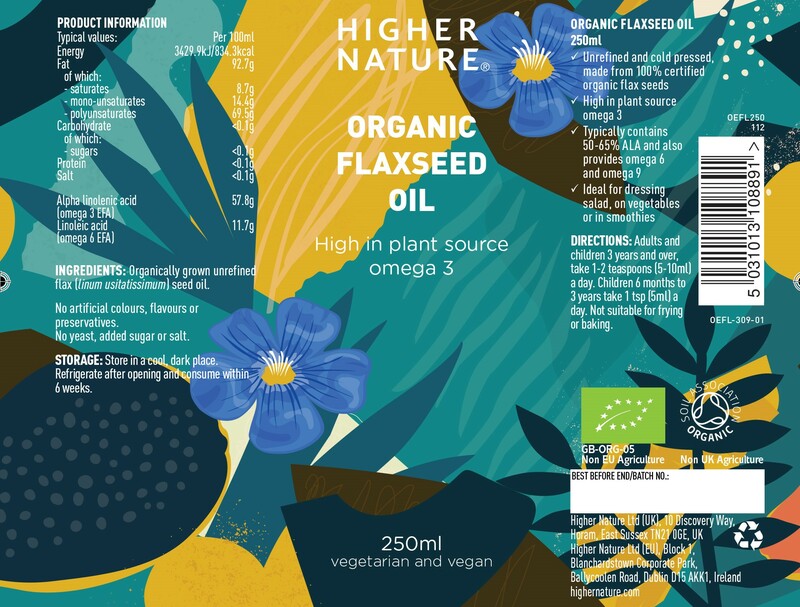 Made using 100% certified organic flax seeds, we use a gentle cold pressing method to extract this beautiful golden oil and retain its essential nutrients. 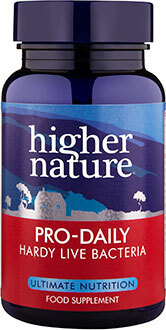 2900mg Alpha-Linolenic acid (Omega 3 EFA), 600mg Linoleic acid (Omega 6 EFA), 720mg Monounsaturates (Omega 9 FA). Take 1-2 teaspoons (5-10ml) a day (adults and children over 3 years). Take 1 teaspoon (5ml) a day (children from 6 months to 3 years). This pack provides 70 x 5ml portions.